Top 5 Books, Any Suggestions? In response to a request, here's my list of my top 5 favorite books. Feel free to toss some in the comments section if you feel I missed out. Some say you should start by learning the endgame first. If you did then there is no better book I've seen to get you there. The book is broken into chapters for class E, D, C, B, and A players, then Experts, Masters and beyond. No matter what your level of expertise it's always good to brush up on material that's meant for people below you, and likewise a class C player with a class A player's endgame knowledge won't be class C for too long. 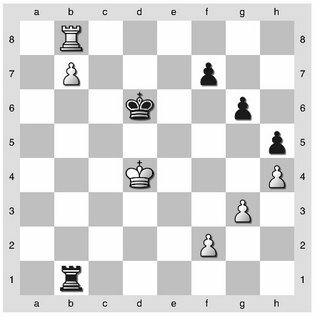 At the very least you will know how to draw or win simple rook and pawn endings, a talent that is surprisingly uncommon. Silman's writing is fantastic, there are lots of pictures, and for 99% of us it's the only endgame book you need. A fantastic puzzle book divided into different themes of combinations by chapter - forks, discovered check, double attack, etc. Read it, solve the puzzles that you can, then read it again. Then again. A long time ago the Massachusetts Chess Federation (or whatever it was called) was hawking this book along with its companion 1001 Brilliant Ways to Checkmate with the guarantee that if you read each book a few times and your rating didn't go up 200 points then they would refund your money. Needless to say they are still on my shelf. One of the most accessible and memorable books in chess, My System is a master course in the fundamentals of positional thinking. In this it is superior to any number of other such books in the wry sense of humor of the author along with the compelling imagery he uses to describe his ideas. One I'm remembering offhand is a quote about favorable exchanges 'falling like ripe fruit into your lap' if you maximize your position rather than seeking exchanges specifically. That thought alone has brought me some victories. Another timeless classic, this book details the 300 (!) games played at the candidates tournament in 1953 to determine who would face Botvinnik for the World Championship. The games are of outstanding quality, the tournament itself was very tense with Reshevsky getting as close as anyone until Fischer would ever get to toppling the Soviet machine. Bronstein annotates all games, and does so in a way that sadly does not get repeated much - with minimal mind-numbing variations, and commentary that is light but brings incredible insight to the positions with minimal effort. Indeed, the game seem very easy, would that it were true. 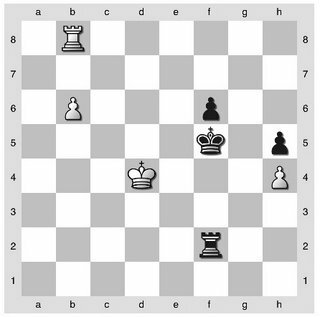 nd the pawn see: Federowicz-Yermolinsky USA Ch (1997) 1/2-1/2. It turns out the Black is completely safe with the paradoxical 53...Ke7! 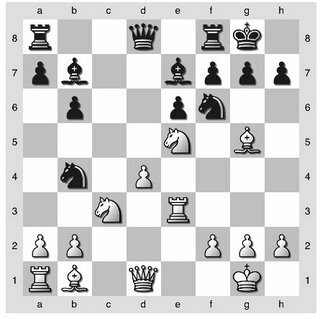 With the White rook on b8, this position is functionally identical to one in which the pawn is on the a-file, since Black's rook can check the White king at will, which has no shelter and no way to advance the pawn. As long as Black's king stays away from cheap tricks (54...Ke6?? 55. Re8+ wins), there is no progress to be made. 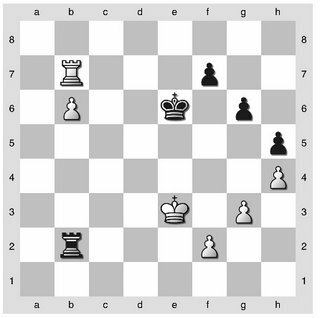 Likewise, had White advanced his pawns earlier in this variation it makes no difference, all Black has to do is keep White's king away from his pawns. 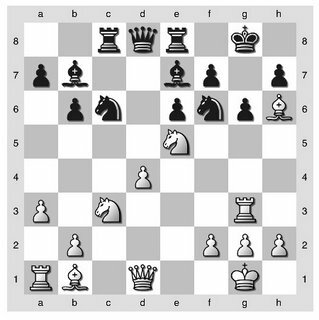 Until the above defense was found Black's idea seemed the most compelling - he intends to advance his pawns and create a weakness in White's position that can provide counterplay and shelter for his king. There is a long series of analyses of the strength or weakness of this move in On My Great Predecessors Vol. 4 which I'll leave to the hard-core. I like Black's idea because I think it would succeed against most opponents and is easiest to understand as well. 48. Ke3 f6 49. Rb6 Kg7 50. Rb7+ Kh6 51. Rb8 g5 52. b5 gxh4 53. gxh4 Kg6! While White has temporized Black has made real progress toward his goal - White's kingside is now weak and Black threatens to enter on f5-g4, then taking the h-pawn. 54. b6 Kf5 55. Kd4 (hoping to queen faster than Black) Rxf2? g in front of his own pawn so that ...Rxf2 comes with a gain of tempo, then the rook is sacrificed for the b-pawn, after which Black is just fast enough with his pawns to force White to sacrifice his rook back for the draw (it takes the computer quite awhile to spot this). 56. Ra8! White uses the tempo he has been gifted to maneuver his rook to where it can both check the Black king and get behind his passed pawn. 1. Is this a win for White or a draw? 2. What plan gives White the best chances? 3. What plan gives Black the best chances? For those who want to see the game continuation check out Portisch-Petrosian 1974, 12th match game. I'll go over some ideas later on (before I do I'll comment on an unusual game at the club last night). 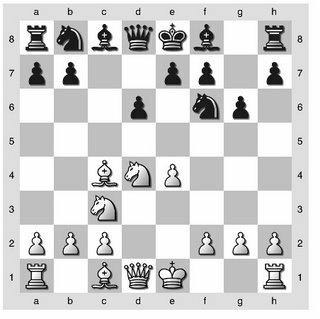 As a bonus question, what if the pawn is on a4 instead, with the rooks on the a-file? I came across Keene-Miles while reading the excellent Pawn Structure Chess by Soltis, and checked my otherwise unread Winning Pawn Structures by Baburin to find out that this game was included in that book as well. Already a game worth noting, then. 13. 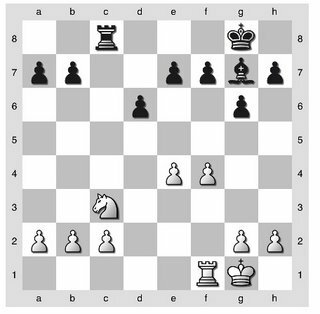 Ne5 Bb7 Looks normal - both sides are working on development and Black will bring the b-file knight to the blockading square of d5 at the appropriate time, meanwhile it is stopping the white queen from lining up a battery on the b2-h7 diagonal. But here White is pursuing a different plan....the classic h7 bishop sacrifice is now a real threat because White's Queen and Rook can combine on the h-file for mate unless Black takes immediate action. 15. Rg3 (planning a different sacrifice) Rc8?? - Baburin points this out as the losing move. It turns out Black has no time for simple development, but rather has to challenge White in the center immediately with 15...Nc6, sacrificing the exchange after 16. Bh6 if necessary to get rid of the e5 knight. 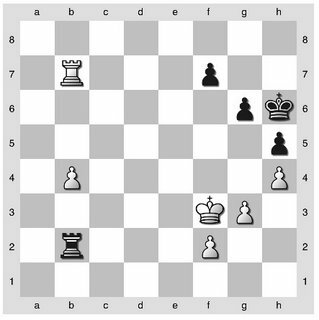 Another reminder to appreciate both sides of the isolated queen's pawn...and you thought it was easier for grandmasters. 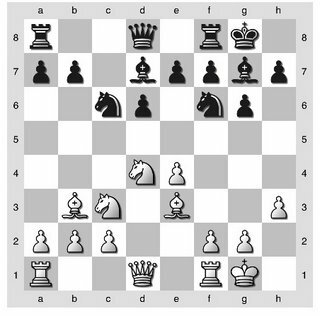 There is a good piece today in the Spanish language InforChess titled "Teoría de Aperturas: Una jugada en el ataque Barry" by Jorge Luís Fernández that covers one of Black's better defenses against the Barry Attack: 1.d4 Nf6 2.Nf3 g6 3.Nc3 (no King's Indian's allowed!) 3...d5 (unless you play the Pirc, this makes the most sense) 4.Bf4 Bg7 5.e3 Bg4! (first played in Lasker - Reti, Rotterdam 1923). This line was also recommended by IM Andrew Martin in an archived piece titled "Dodgy Games with Dodgy Names" (which I mention in a bibliography on the line), but Martin recommended meeting 6.Qd3!? (threatening Qb5+) with 6...c6 rather than Fernández's interesting 6...O-O!? 7.Ne5 Be6! Both seem fine. It's important to note that White can also play the so-called Tarzan Attack with 5.Qd2!? which sidesteps the Bishop pin and threatens Bh6 at some point. Arthur Kogan has had success with this line and writes about it in SOS. But there is good discussion at the ChessPub forum suggesting that some of Kogan's analysis does not hold up and the classic game Yusupov - Kasparov, Belfort 1988 is still good theory. Now I just have to figure out how to beat the Trompowsky, the Versesov, the Blackmar Diemer, and a bunch of other crap. Martin (and others) tend to refer to this as the modern 6. Bc4 line, but I'll call it the Neo-Classical Dragon because that's how I roll. All I need is ten other people to start calling it that and we'll have something going. 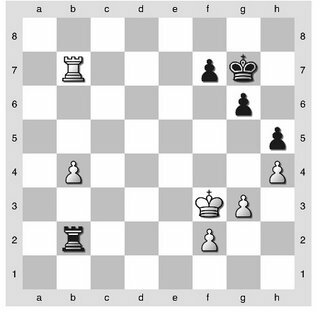 So long as the 'dragon' bishop resides at g7, this is a favorable structure for Black. There is obvious pressure on White's queenside, with a possible exchange sacrifice on c3 on the horizon. 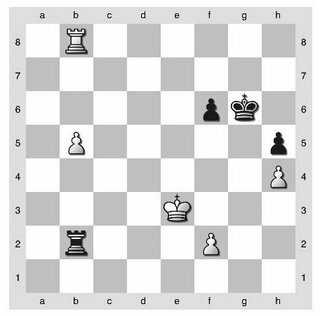 The added pieces highlight White's deficiencies - the c3 knight can be pinned to the b2 pawn, and the semi-open c-file is looking tasty for Black. What White has going for him (if there are more pieces) is the possibility of an attack on Black's kingside with the f, g and h pawns being pushed with the help of White's heavy pieces. 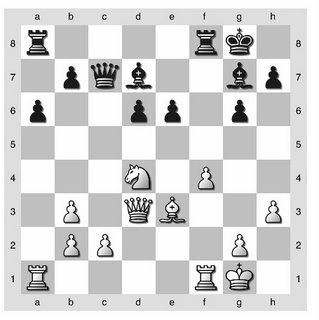 This is double-edged, however, as it exposes the White king to counterattack. 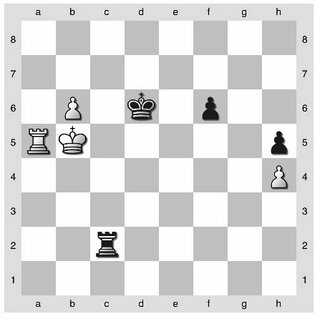 arrives at a position that has scored a healthy 58% for White. Though the game ended in a draw, it's easy to imagine interesting ideas for both sides. This is just a cursory look, but I'm thinking this variation is a reasonable (but slightly inferior) alternative to the Yugoslav Attack. All a matter of taste. As the Brits say, it's worth a punt.